If you are like most people, you will eventually decide to get another dog after your dog passes on. This is a personal decision and one that should be made very carefully. The entire family should be involved in deciding the best time to commit to a new relationship. This is different for everyone. Bringing a new dog home to the family before everyone is ready can hurt someone by implying that the dog's death is insignificant. During your time of grief, remember to pay attention to the other animals in the home. They also will be affected by the loss of your senior, as well as by your own grief and stress. They may react in various ways, including exhibiting personality or behavioral changes. This is usually temporary. 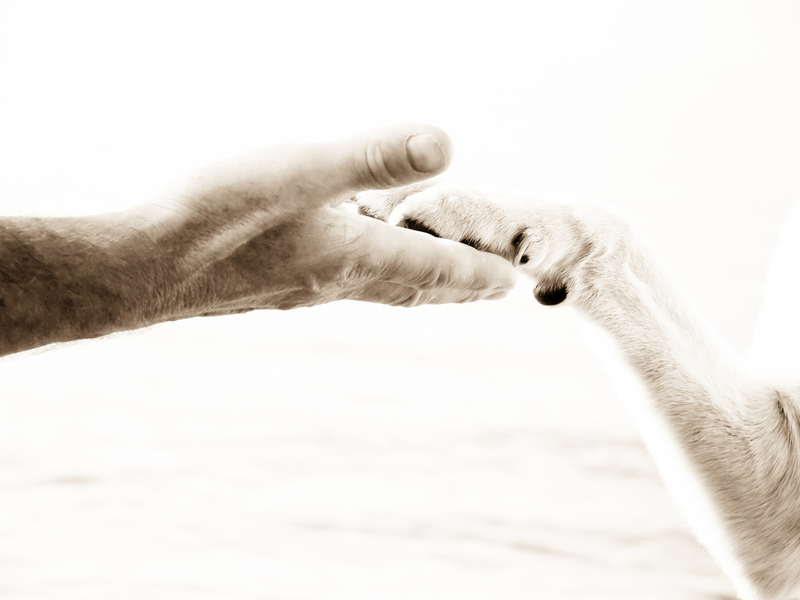 If you have another pet that is suffering from the loss of a senior friend, try to keep his routine as normal as possible and lavish him with attention at this time. One of the greatest legacies you can give your passing dog is to provide your love and compassion to another dog that so desperately needs it. Some people eventually find comfort in going to a local animal shelter and adopting a homeless senior dog. This should be done with care. Often, people feel that adopting another dog of the same breed and coloring as the dog that has passed will help them deal with the grief. This is usually a mistake. The second dog is not the first dog, and it is unfair to expect him to be. By choosing another dog that is physically different from the passing dog, you will learn to love and appreciate his unique qualities as well. If you are not quite sure you are ready for another dog, try fostering an animal through a local animal group in your area. You will not only provide housing and love to a homeless animal in need while he is waiting for a permanent home, you will be able to test your own readiness without a long-term commitment. Every dog, especially a senior animal, has so much to offer and will surely enhance and bring new joy to your life. If you feel you have grieved and your heart is telling you to open yourself up to another relationship, you are probably ready. For some, there is no better medicine for a hurting heart than the love of another dog, while for others, the best medicine is time.